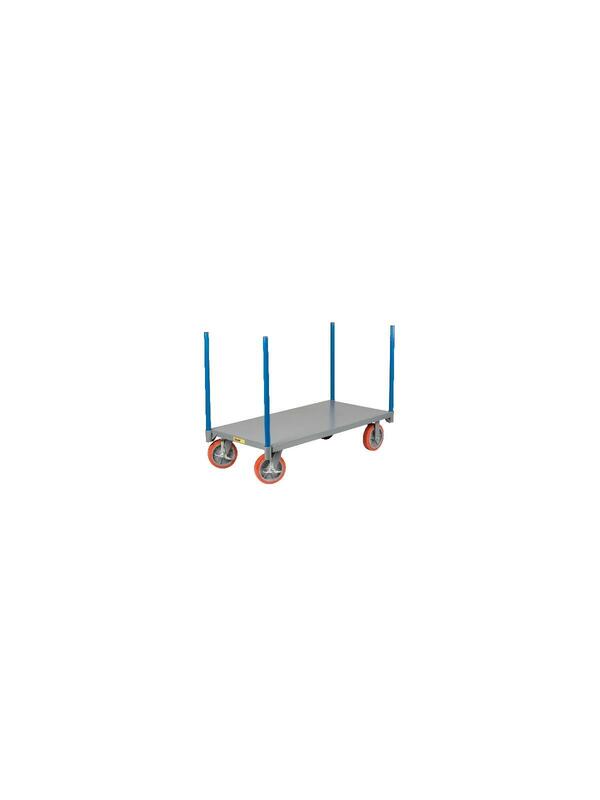 Ideal for transporting roll goods and other long, bulky loads. 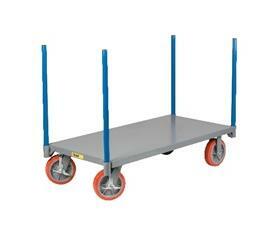 Removable 1-5/16" diameter pipe stakes extend 30" above the reinforced 12 gauge deck. 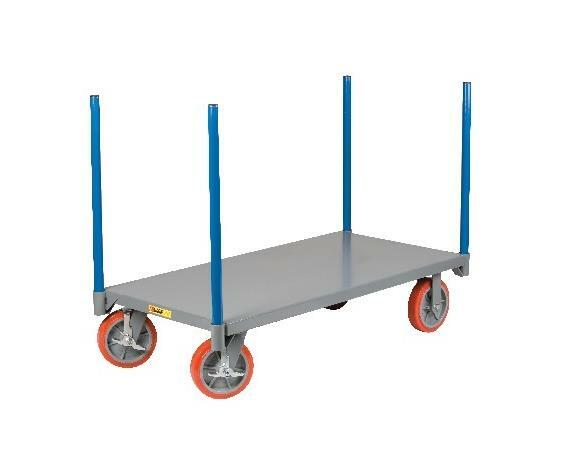 2 rigid and 2 swivel, 8" non-marking polyurethane casters with brakes. FOB Shipping Point.